Moistens the intestines, drains heat, promotes the movement of qi and unblocks the bowels. Chronic Constipation. 1,000 gauss ferrite 0.1" x 0.24" diameter magnets with 0.9" diameter adhesive plasters. The north and south poles are uniquely aligned along the magnet's edge for a balanced multi-pole effect (no need to turn over). Magnets are smooth and oval in shape; north/south poles are not marked. Each 0.5"x0.5" adhesive plaster features a geometrically spaced cluster of five 1.2mm diameter silver plated pellets. 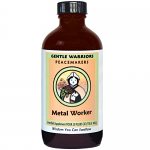 Maitake Liquid Extract, 8 oz. 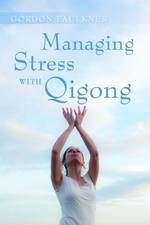 This practical book will help anyone who is prone to stress, regardless of their level of ability or experience of Qigong. Sombra Natural Massage Creme is soft and rich with versatility to be used with many massage techniques. Unit Size: 1" x 0.75"
This 1" x 0.75" shoni-shin tool has seven prongs that are perfect for scratching points or meridians during treatment. 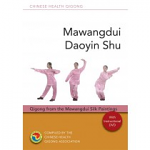 This accessible and beautiful form will be of interest to experienced practitioners and beginners alike, and especially to those interested in the authentic connection with forms practised in ancient China. Soft and resilient with firm full cervical support, the Max-Relax adjustable halves are velcro hinge connected. Provides a well-balanced combination of vitamins and minerals along with a wide range of antioxidants to assist and promote overall health. Experience true clarity of the mind with the ability to maintain focus for longer periods of time. 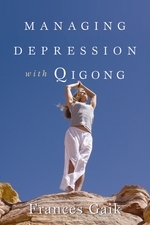 Benefit from deep relaxation as chi flows optimally throughout your body. Men's Midlife Tonic, 2 oz. The Mesima mushroom (Phellinus linteus) is increasingly drawing the attention of researchers for its immunologically enhancing properties*. Each capsule contains 500mg of freeze-dried Mesima mycelium. Examining the methods and criteria for assessing Complementary and Alternative Medicine (CAM), this book highlights how CAM research must be treated differently to research in conventional medicine. Experts from a wide range of CAM modalities provide background to the therapies and suggest the most effective research methodology for each. Two channel micro-current with 3 fixed frequency settings and adjustable timer. 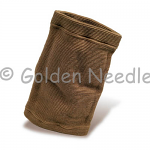 Provides the most secure and positive grip to the needle blade. Brand: Bilt-Rite Orthopedics & Safety Inc. 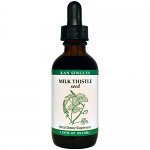 Milk Thistle Extract, 2 oz. Milk Thistle Extract, 4 oz. Mimosa Bark Extract, 8 oz. Useful for the animal with chronic hindend weakness. 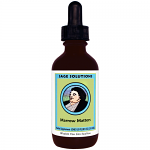 Promotes normal healthy lactation* Based on a time-honored formula handed down through the years by herbal sages. Muira Puama Extract, 2 oz. 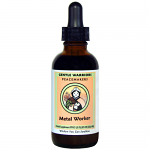 MycoShield Spray - Cinnamon - 2 Fluid Oz. Host Defense MycoShield spray combines five powerful polypore mushroom species: Agarikon, Red Reishi, Chaga, Birch Polypore and Turkey Tail. These five mushrooms provide a unique “shield” of immune support*, available in a perfect traveler’s size.